Tamsweg, Austria 31.12.2014. 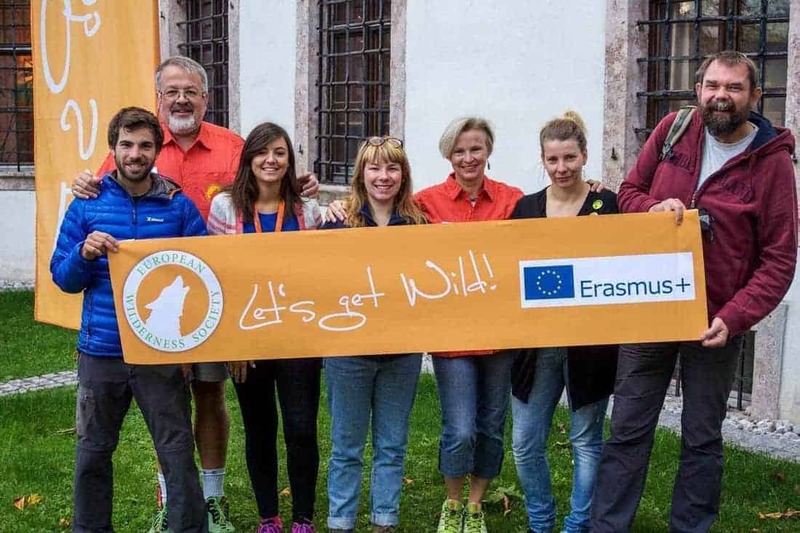 The European Wilderness Society, Hnutí DUHA – Friends of the Earth Czech Republic, Mountain Wilderness and WOLF Forest Protection Movement have launched a new EU project to enhance adult training opportunities and methods about wilderness and protected area issues. Did you always wanted to learn (again) how to light a fire without matches? To pick the right plants and turn them into an eatable and enjoyable dish? Or to build a shelter out in the woods to stay dry and safe for a night? All this sounds like nature camps for young people, but wilderness trainings exists for adults too, in different forms all over Europe. The European Wilderness Society and three partner NGOs have pooled their experiences in adult training and recently started an EU project that aims to bring fundamental changes in the public attitude towards wilderness by educating them about the various benefits of wilderness and its importance. Project partners will look into existing wilderness education practices, encourage the exchange of best-practices amongst countries and protected areas, and field test innovated curricula of education programs. The organisation brings all stakeholders of Europe’s wilderness areas together. It employs a comprehensive approach to meet the complex ecological and social needs of Europe’s protected areas and offers an active exchange amongst protected area managers through its European Wilderness Network. Their team members have participated in the organisation of a series of trainings for wilderness area managers between 2009 and 2010 across Europe. These trainings were focused on the management of visitors and improving interpretation services. Hnuti DUHA (HD), the Czech member of well-known Friends of the Earth International, is an environmental non-governmental organization with 25+ employees, hundreds of volunteers and thousands of supporters. Being the largest environmental NGO in the Czech Republic for over 20 years, HD has contributed to solving modern environmental and civil society challenges using activities ranging from local to national and EU level. This is great stuff. And really needed. Get people out on the land! Well done!